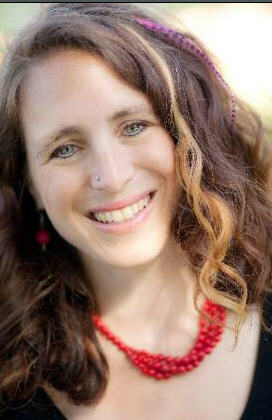 My friend and fellow Indie-Author Becky Pourchot has recently released a new book called “To Kiss a Ghost”. The book is the second in her “Hungry Ghost” series and revolves around the continuing mis-adventures of Gala Rhyce, a teenage girl who doesn’t have enough trouble with teenage girl stuff…now she sees ghosts. Even though Becky’s target audience is “young adults” – I read the first book in the series and enjoyed it very much. I’ll read the second one too, because I really like Becky’s writing style. She has a great sense of humor, which she combines with a vivid imagination, great characters and, of course, a fantastic setting (Flagler Beach). She suggested I interview Gala – her character in the books. I didn’t even have to think about it – I thought it was a great idea! Welcome Gala…it’s a pleasure to meet you. Why don’t you start by telling us a little bit about yourself? I’m fifteen years old and I live in Flagler Beach, Florida with my mom and Joey my ten year old brother. I like to draw—monsters and stuff. I’m big into graphic novels. When I grow up I’d like to be an illustrator or something. And how long have you been living in Flagler Beach? I’ve been here…um…since June, so two months…and a couple days. I start school on Monday. Well, I mean, the beach is cool. But the kids are really different here. Surfing and skate boarding is like their life. And the girls, if they’re not surfing, are hanging out at the beach in their bikinis trying to impress the guys. It’s just not my thing. Okay…little confession, don’t laugh—sometimes I’ll hang out at Nerdz comic book store, thinking some kid with my interests will show up, but it’s like all thirty year old guys who played Dungeons and Dragons when they were my age…not that there’s anything wrong with that, but thirty year old geek-men really aren’t my thing. Also, I’m not so sure about Florida weather. I can’t believe how frickin’ hot it is here. That school better be air conditioned. Was it difficult to make friends? Yeah. I’ve made almost no friends. The guy that I was dating left for college a week ago. That did not end well. I understand you have a…unique ability when it comes to making friends? I’m not crazy. Really. But since I got here I’ve been seeing ghosts. Actually not just seeing them but hanging out with them, making friends with them. So I suppose I have made friends—but I don’t think friendships with dead people really count. Some of these ghosts are okay…annoying, but tolerable. The only problem is these nasty spirit beings called Ashen Ones. They’re these creepy shadow creatures that expect me to “clean up” Flagler Beach—you know, get rid of all the ghosts that have been lingering around for the past hundred years. It’s not always clear how I’m supposed to do that though. I usually have to figure it out as I go. Trust me, this whole thing is really screwed up. Oh believe me! I don’t want any attention from this. If I could just close my eyes real tight and wish them all away, trust me I would. What was it like the first time you saw a ghost? It wasn’t scary like you’d think. I had been communicating with her for a few days…then when I finally saw her, it was so cool…she was in front of me, sort of transparent like. We were friends at that point (before she went all nutty on me)…so it was sort of like finally meeting a friend face to face that you had been chatting with on the computer for a long while before. So, first there was Trista. She was haunting my house. She died in the Eighties so her whole fashion style was stuck in the last century. She was nice at first. I sort of felt sorry for her. But then she got really greedy and demanding. When she tried taking over my life I was done with her. Then there’s Roy. I think he was like in his forties. He used to be a local ghost hunter—then he died. Roy has the soul of a big teddy bear—no, not literally. (Do teddy bears have souls?!) Roy’s from New Jersey, so he’s got like that mafia accent…and he’s bald. He looks like he’s some big tough guy, but he’s really nice. He’s super clumsy—always knocking stuff over. And when he knocks over stuff at the Mermaid Inn people really freak out. Ghost tourists come from all over to watch his apparition bump into lamps and stuff. It’s actually quite funny. Okay you probably want me to say something about Jaylen too, right? I fell for him—even though he’s a ghost and now things are totally weird…I mean weirder than any relationship you’ve ever had. It sort of hurts to think about him, so I don’t want to say anymore…okay I will say that he is the sweetest, kindest guy I’ve ever known…and there’s still a chance things will work out, so cross your fingers. I miss him. LOL…other than the Ashen Ones, so far they’re all friendly…but also pretty needy. So you’re sort of like the daughter played by Winona Ryder in Beetlejuice? I LOVE that movie! Yeah we’re sort of alike…though she dressed way better than me. That show was pretty messed up. It’s like how my brain works… I’m putting it in my Netflix cue right now. Must watch again! Do you know why you only meet certain ghosts? I mean there must be lots of ghosts around…why don’t you see all of them? Hmm. That’s a good question. I think the Ashen One’s set me up. I know this sounds crazy paranoid, but I think they watch me and make situations happen. I mean I still have free will and all, but they’re manipulating things so I meet up with certain ghosts. Seriously, my life is not quite my own anymore. Do you think it has something to do with the house you live in or do you think you would encounter ghosts no matter where you lived? I think it’s two things. First I have the DNA for seeing ghosts—it’s in my dad’s blood line or something…but it wasn’t until I opened up the channel with the first ghost and figured out how to “clear” her that the Ashen Ones started paying attention. After accidently demonstrating how skilled I am, the Ashen Ones decided I was the girl for the job. So now it looks like I’m stuck with it. Did you ever encounter ghosts in Wisconsin? When I was five my stuffed animal fell off the shelf and I was totally freaked out and I was sure a ghost did it…but now that I think about it, it was probably just the wind blowing in. My mom’s always been into paranormal, new age stuff. I just thought it was stupid. Never really believed in it until we moved here. How does your family and friends feel about your “gift”? Does these ghosts want you to do anything specific for him/her? What if you don’t want to do it…can you “just say no”? Well, my first ghost was totally pushy. After her I learned that I had enough power to say no to them…But the Ashen Ones are different. They’re like a completely different type of creature all together. I don’t think they try to be mean, but they’ve got an agenda that they need me to follow to “keep the Universe in balance”. They’re sort of like the boss for a job you can never quit. Does the ghost do anything for you? You know, like scare the crap out of the mean girls at school or give you the answers to the history exam? LOL That’d be nice. One ghost could heal people. That was pretty awesome. He could kiss too…but that’s none of your business. Your adventures have been chronicled in two books…how do you feel about this? Isn’t it worse than having your little brother read your diary? OMG! Are you kidding? In books? Crap. I hope they at least changed my name. Before I know it they’re going to be following me around for a reality show. Obviously, since you have seen more than one ghost, this is not a “one and done” sort of thing…do you have any idea how often it will happen? Do the ghosts give you any kind of advance notice or do they just show up? I wish I got advance notice. I’m hoping as school starts up, the ghost thing will settle down, but I keep seeing the Ashen Ones out of the corner of my eye, slithering against my bedroom wall late at night. They’re still watching…and making plans. Okay – Thank you Gala – it’s been a pleasure talking to you. I hope things work out for you! And thank you to Becky for allowing Gala to talk to me. Independent authors rely on you, our fans, for support – so please help out as much as you can…if you can’t buy our books – please share our names with others and help spread the word!! In April, 2004 my brother-in-law and I drove from Rhode Island to Florida in a 22 hour non-stop marathon. In order to save us the trouble of thinking of stuff to talk about, we stopped at Cracker Barrel in RI and grabbed a couple of audio books to listen to. We made sure they were action-filled spy stories, hoping they’d keep us awake. It worked…we stayed awake, listened to 2 good books and returned them to the Cracker Barrel in Florida when we arrived. Prior to that, my only other experience with audio books was during high school English class when we had to read Shakespeare. Our teacher was a young woman who, I believe, could still identify with our difficulty in understanding old-timey English. She mercifully allowed us to listen to a recorded version of the story (Romeo and Juliet) which made it much easier for us. After six months, I am pleased to announce that my novel Backseat to Justice is finally available as an audio book. Backseat is the story of Florida Private Investigator Steve Salem who is hired to tail an unfaithful husband, only to have the husband get executed before his eyes. Needless to say, he figures his fee is history—until the wife of the slain cheater hires him to solve the murder. Things take off after that and just when Steve thinks he’s solved the case it takes the most bizarre twist imaginable. That’s all I’m telling you – if you want to know what happens you’ll have to buy the book. One more thing about this book – as with the print and e-book versions – half of all the profits are being donated to a Rhode Island based dog rescue organization called Golden Huggs Rescue. Download your copy now and please share this link with your audio-book-loving friends! Last week I was invited by my good friend Armand Rosamilia to participate in this “blog hop interview”. The idea is this; He sent me some interview questions, which I answer and then at the end I tag 3 other writers who will in turn answer the same questions on their blogs next week. Please check out Armand’s answers to the questions on his blog at His Blog. Feel free to leave a sarcastic comment at the end and tell him it’s from me…he loves it when I do that! Mainly, I am in the process of editing my next release, “Unfinished Business”. It will be released in June of this year. The editor and I have completed the first ten chapters as of April 24th. 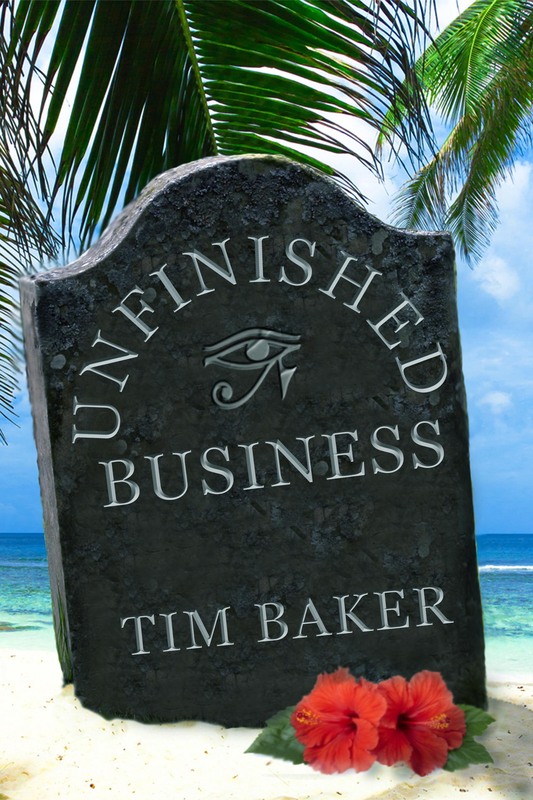 “Unfinished Business”, like most of my books, doesn’t fit neatly into any one genre. It has elements of the supernatural as well as some suspense/mystery and it also has some of the fast-paced action the rest of my work is known for. So it isn’t a matter of being different from other works in the genre, because it doesn’t fit neatly into any one genre to begin with. What experiences have influenced you? I have drawn on experiences from my entire life, as well as stories told to me by others. I like to include as much real-life in my books as possible in order to make them more believable. Mostly because it’s what I like to read. It starts with a very basic idea. I call it the “What If” idea. From there I construct a basic story line, come up with the major conflict/challenge and then I start writing. I don’t use an outline and I only have a basic idea of what will happen…I let the characters drive the boat. For me the hardest part is finding time. I have to fit writing in between working full time and having some sort of life. The book I want to write, that I haven’t yet, will be a World War II historical fiction story. Who are the authors you most admire? My favorite authors are Elmore Leonard, Carl Hiassen and Tim Dorsey. I also like Nelson DeMille, Lee Childs, Michael Connelly and Greg Iles. That about wraps up my answers…I now tag these three authors to answer the same questions next Wednesday. Please try to take a look at their blogs as well. We are all Independent Authors trying to support one-another – and you are the first responders in that fight! As always – thank you for reading! 24 Minutes – Not Much Time, but a FREE Book! GXC Inc. is a Certified Service-Disabled Veteran and Minority Owned Small Business.